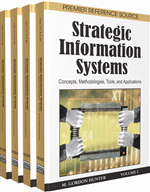 This chapter describes how models for software development and service delivery can be integrated into a common approach to reach an integrated product life cycle for software. The models covered by this chapter are the capability maturity model integration (CMMI), SPICE (software process improvement and capability determination, ISO 15504) and ISO 20000 (service management). Whilst the CMMI constellation approach delivers an integration perspective defined in three models (development, acquisition and services), SPICE and ISO 20000 need additional alignment to be usable in an integrated approach.